There is absolutely nothing better than having clear glowing skin, it means you don’t have to bother with too much makeup, and it just looks so healthy! Over the last week or so, my skin completely freaked out after trying out a couple of new products. 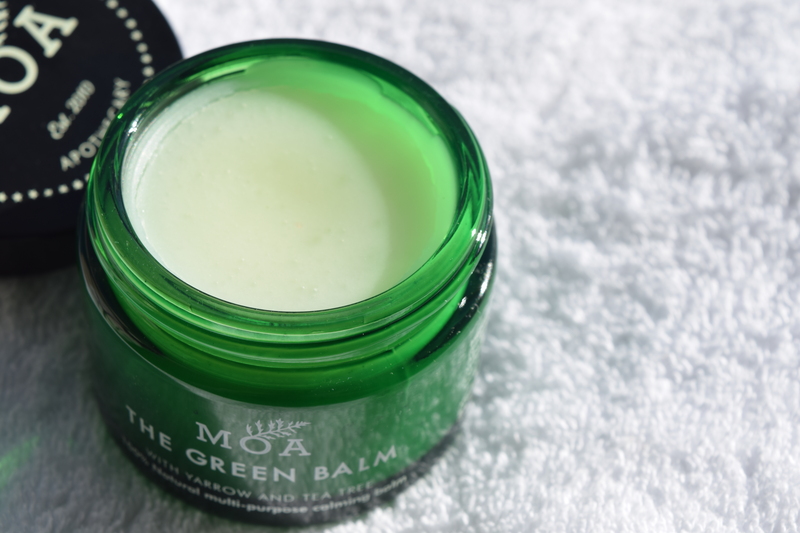 I’ll leave out the gory details, but it wasn’t pretty, thankfully though MOA Green Balm came to my rescue! 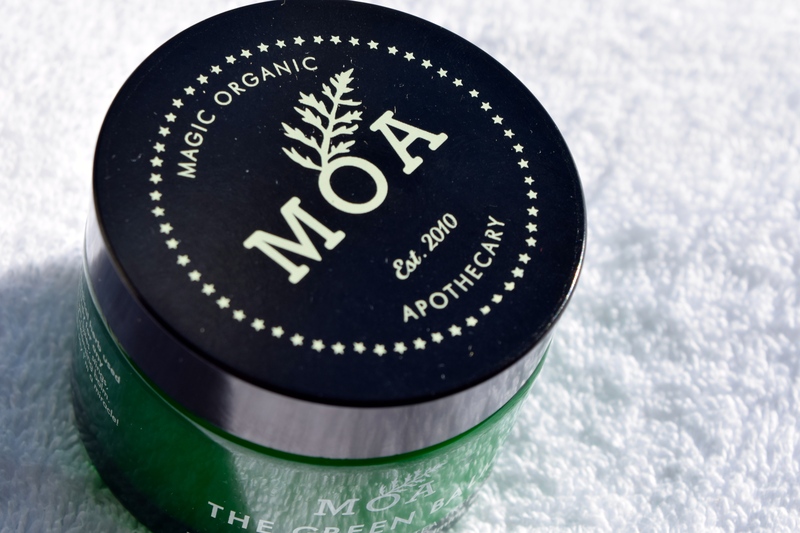 Packaged in a cardboard tube, complete with cleansing cloth and the most darling illustrations, is the little green jar. I just ove how special the whole package is, and it does really feel like a little luxurious ritual to use! 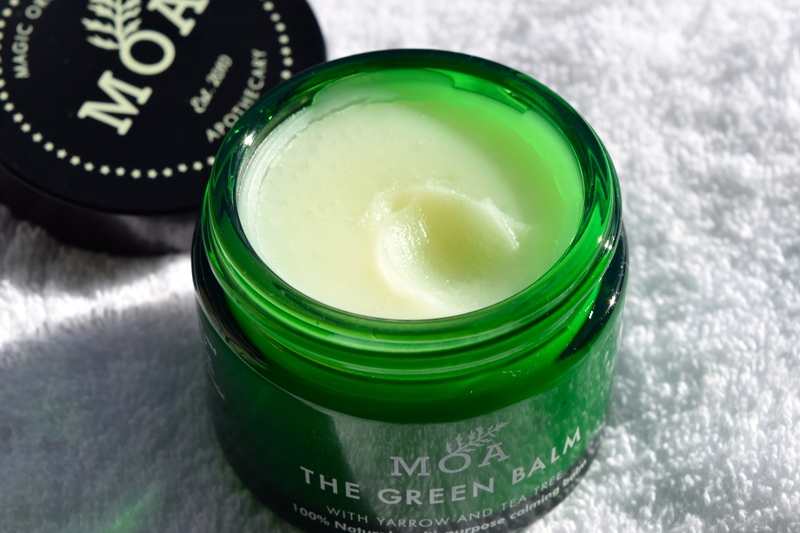 When in the jar, the balm itself looks quite solid, but the heat from your fingers easily turns to an almost oily texture which feels lovely to massage into skin. It’s a real multitasker, as the balm helps with anti-ageing, eczema and dry skin. The ingredients consists of astringent and repairing yarrow to target blackheads, tone skin and prevent wrinkles, anti-bacterial tea tree oil to fight blemishes, coconut and almond oils to soothe and nourish, soy bean oil an anti-oxidant to restore and balance, and finally beeswax to help protect the skin from the elements without clogging pores. Genius! 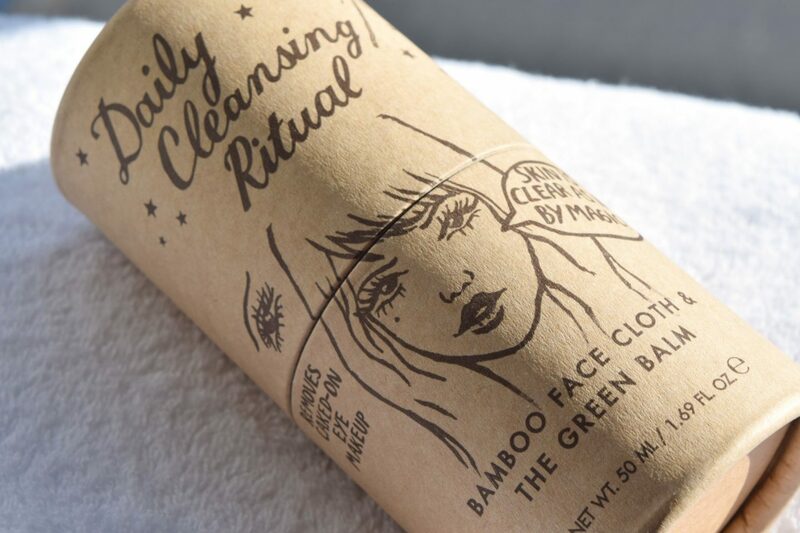 After I’ve massaged the balm into my skin for a minute or so, I wipe it away using one of MOA’s amazing bamboo cleansing cloths. 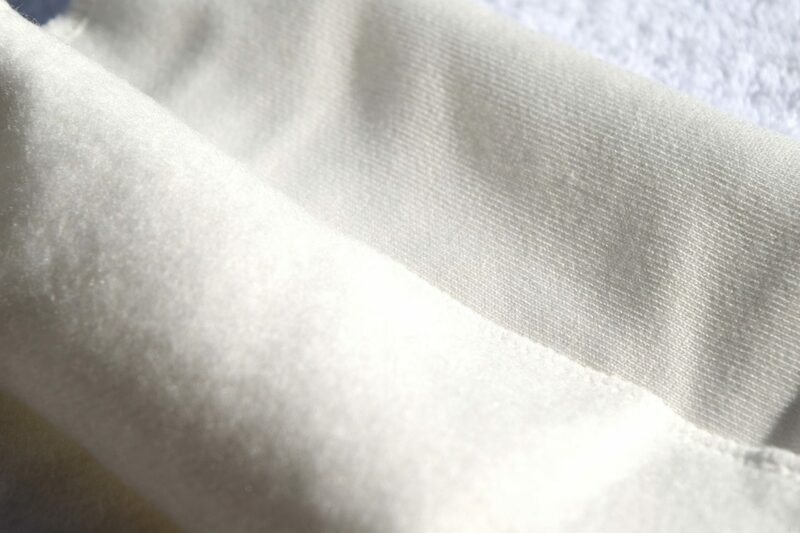 I love how they are super soft, and each side has a different texture – super soft and almost fluffy, whilst the other side is smoother. To use them, I dip them in warm water, wring them out, lay over my face for a few seconds then wipe. They feel dreamy to use, and don’t leave a hint of makeup or balm behind, meaning my skin is ready for a little moisturiser then I’m good to go! As I mentioned before, I had been suffering from some really terrible breakouts that were both ugly to look and and incredibly sore. Within 2 uses of the balm, my skin was healing, the spots were shrinking and I didn’t have to worry about dry skin. The balm really is a miracle!